Does your garden feel in need of some tender loving care? Does ‘nothing grow anywhere’? Are you just bored with the layout but can’t work out what would be better? 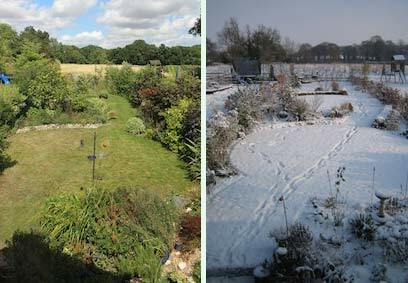 LandShape can provide you with a wide range of advice for gardens – from reports identifying suitable plants for your garden soil type to a new layout to revamp an old and tired play space. LandShape often recommends that a LVIA is submitted together with a Landscape Strategy in order to show the planning authorities the general outline of the landscape issues and solutions for the project. The strategy and LVIA are developed together as an iterative process ensuring that all issues are covered and there are no unpleasant and costly surprises at a later date. Preparing a strategy which complements the LVIA also indicates to the planning authority that any mitigation has been carefully considered and designed. LandShape recommends that any new residential development should be designed by both landscape architects and architects working together. 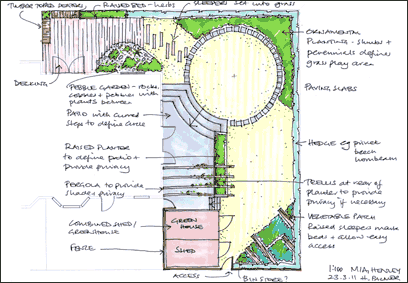 Using both professions ensures that the master-plan for the development maximises both built form and landscape potential and ensures that the project provides the best solution for the constraints of the land. We are experienced in working together with planners and architects to provide master-plans for housing from individual houses to large commercial schemes.